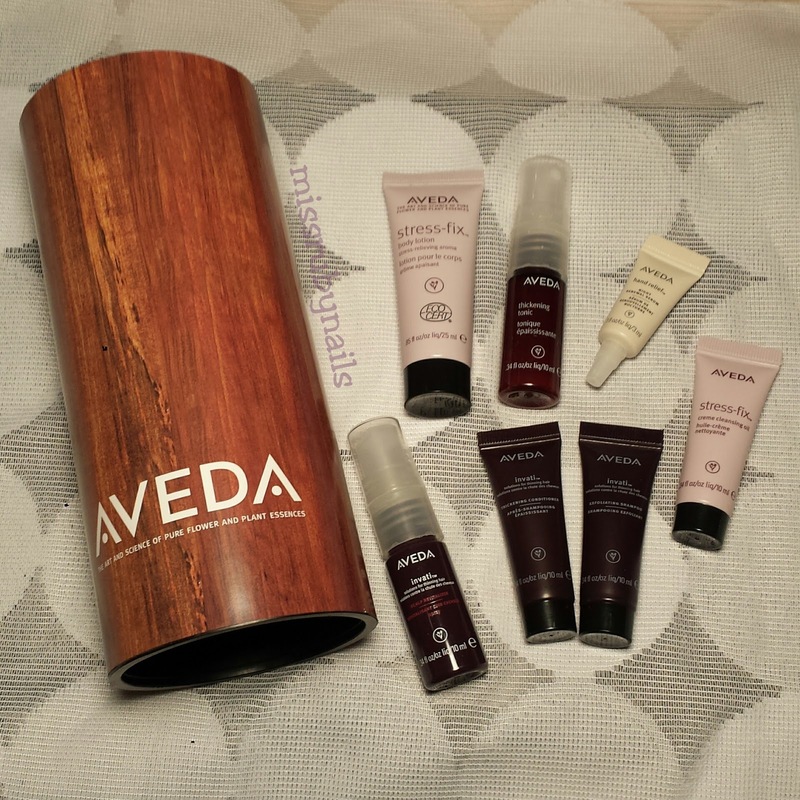 This month I chose the Aveda box instead of the regular box and I am loving it! Aveda - "The art of science of pure flower and plant essences". All the product have similar scent of plant / essential oil / natural scent and I really like that! There are 7 products in this box! Normally the regular box has 4 items, sometime 5. "Massage into wet hair and scalp. Scalp renewing exfoliating shampoo removes pore clogging build up with wintergreen derived salicylic acid and densiplex. 200 ml $35"
"Massage into wet hair and scalp after shampooing with Invati Exfoliating Shampoo. Prove to thicken hair, restore strength and improve hair elasticity, reducing breakage. 200 ml $35"
"Expand every strand for full day volume! 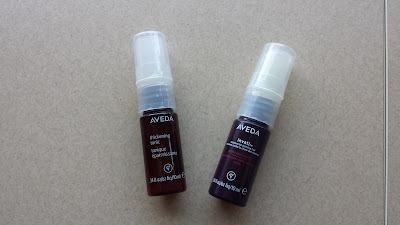 For thicker, fuller hair that lasts, spray Thickening Tonic from roots to ends in sections, blow drying to finish. 100 ml $36.5"
I think I will enjoy this volumizing spray as I am all about the volume! "Apply after conditioning. Spray evenly covering the scalp, and massage in. Formula accelerates microcirculation to help you keep the hair you have for longer. 150ml $74"
Hopefully this will not make my roots become greasy faster. 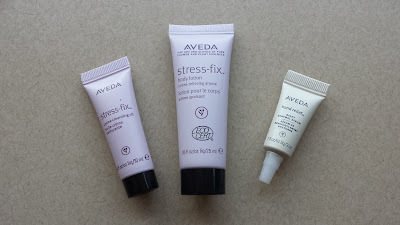 "Soften your skin while cleansing. 99% naturally derived cleanser clinically proved to reduce feelings of stress. 200 ml $36.5"
At first I thought this is for face because of the name Cleansing Oil. But it looks like it is a body wash. I am sure I will love this! "Apply all over to hydrate and soften soon while reducing fe feelings of stress. Aroma includes essence of lavender, lavadin and clary sage formulated using aromaology. 200 ml $35"
I have tried this before from one of my subscription boxes and I loved the essential oil scent of this. 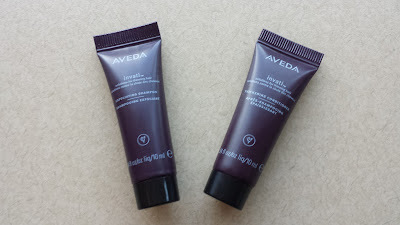 This is a light body lotion that absorbs quickly into the skin. "Renew your hands nightly. Apply overnight as a treatment to visibly reduce dark spots, smooth fine lines, and protect skin's natural moisture barrier. 30 ml $46"